Pretty Little Liars - Episode 4.01 - 'A' is for A-l-i-v-e - Various BTS تصاویر. . Wallpaper and background images in the Pretty Little Liars TV دکھائیں club tagged: pretty little liars season 4 4x01 bts photos. 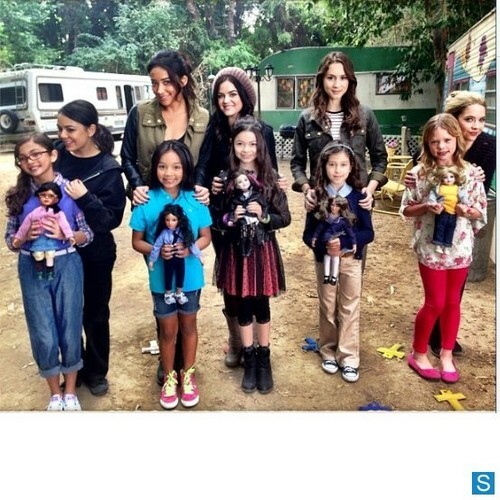 This Pretty Little Liars TV دکھائیں photo might contain سٹریٹ, شہر منظر, شہری ماحول, گلی, شہر ديکھا, and شہری سیٹنگ.